Sales of Australian gold bullion slumped to at least a 3-year low in May, while silver bullion missed the million ounce mark for the first time in 9 months, according to Perth Mint of Australia data released on Thursday, June 2. Perth Mint bullion sales registered against a backdrop of falling precious metals with London fixings in May posting sharp losses of 5.7% for gold and 10% for silver. The Perth Mint in May sold 21,035 ounces in gold coins and gold bars, the lowest monthly amount since CoinNews started tracking the Mint’s data in February 2013. The level marks a 55.8% drop from April and a 2.9% decline from the same month last year. Year to date gold sales total 201,347 ounces for an advance of 46.3% from the 137,631 ounces sold during in the first five months of 2015. Perth Mint sales of silver bullion increased in May by 974,865 ounces, down 16.1% from previous month but 188.8% higher than a year earlier. In the January to May period, the Mint’s silver sales at 6,415,339 ounces are 164.4% higher than last year’s starting five-month total of 2,426,408 ounces. Below is a monthly breakdown of Perth Mint bullion sales from May 2015 to May 2016. Premiums have gone up on these. Bullion coins with lower premiums are no doubt being bought instead. 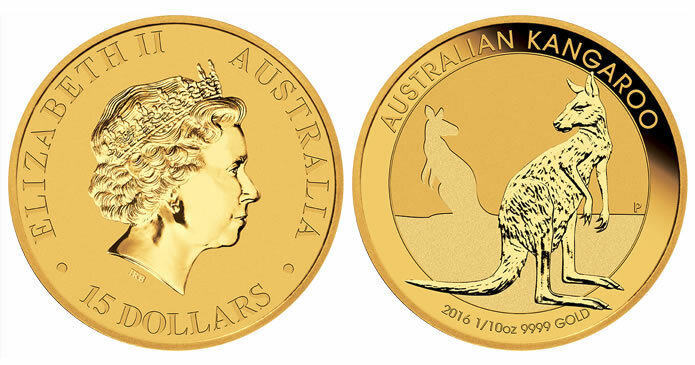 I noticed also that the premium on the bullion silver Australian Kangaroo coin is higher than most other 1-oz silver bullion coins. I always wondered why?